Five Haverford alumni were recently honored with awards from the National Science Foundation Graduate Research Fellowship Program (GRFP), which recognizes and supports graduate students who are pursuing research-based master’s and doctoral degrees in science, technology, engineering, and math. For all recipients, the GRFP provides three years of financial support for their graduate education within a five-year period, including a $34,000 stipend, a $12,000 cost-of-education allowance, and opportunities for international research and professional career development. Rebecca Wai ’15 majored in chemistry at Haverford and is currently a first-year Ph.D. student in the chemistry program at the University of California, Berkeley. She is developing a new method for super-resolution microscopy, called CLAIRE (which stands for cathodoluminescence activated imaging by resonant energy transfer). Casey Londergan, associate professor of chemistry, was her mentor throughout her time at Haverford, and Wai credits her success with his support. "Casey and the entire chemistry department at Haverford were a huge part of [my] deciding to pursue chemistry and research,” Wai says. “Their enthusiasm for chemistry is really contagious and inspiring. The support for students to do research, and have their own research projects, was an instrumental part of my Haverford experience and my decision to start a Ph.D. in chemistry." Jessica Weaver '13, who also majored in chemistry at Haverford, is conducting research as a member of the Macromolecular Materials Group in the Department of Materials and Science and Engineering at Drexel University. For her research, she is synthesizing new types of bottlebrush polymers via controlled/living polymerizations, which she will try to incorporate into well-ordered materials, such as membranes and hydrogels. At Haverford, Weaver not only learned fundamental chemistry research techniques in classes like her junior “Superlab” course, but also learned how to run computer simulations while doing her senior thesis. "As a graduate student, I am very much interested in not only synthesizing new types of bottlebrush polymer-based materials, but using computational chemistry to predict their properties," says Weaver. "My Haverford chemistry degree was excellent preparation for the inherently interdisciplinary nature of materials research." Sarah Harrison '13, a Haverford chemistry major and classics minor, is currently a graduate student at the University of Georgia in the Department of Marine Sciences, where she is working on her master’s degree and hoping to continue on for a Ph.D. She is studying the fate of oil in the marine environment, a topic she began to explore for her senior thesis. Now, she is working to understand oil’s immediate fate once it reaches the sea’s surface, using different events and places as study sites to understand how oil impacts the surface ocean. Her main focus is the Gulf of Mexico, which has both natural oil seeps and a history of oil spills. "Two key components of this work revolve around understanding how microbial communities at the sea surface respond to oil and how the oil, itself, changes as it moves through the environment," says Harrison. "I plan to use the NSF GRFP to continue unraveling these two threads of research, and ultimately hope to be able to add to the growing body of knowledge about what happens to the marine environment after an oil spill." James Taggart '13, a double major in biology and physics with a minor in chemistry, is currently a graduate student in the biology program at the Massachusetts Institute of Technology (MIT). In his biology program, he recently joined a research group that studies the quantitative control of cellular protein production. Taggart will spend the next few years doing research and leading classes as a teaching assistant. He says the fellowship will provide him with more flexibility in what he is able to pursue. "Haverford facilitated my interest in basic biological research and clearly illustrated the value of engaged mentorship," he says. "I'm hoping to have the opportunity to teach in some capacity after graduate school, so that I can provide this for others." Anna Weltman '09, who majored in math and minored in political science, is pursuing a Ph.D. in math education at Berkeley. She co-writes a math blog for middle school students and teachers, called Math Munch, which curates web-based math materials and current events that are traditionally aimed at professional mathematicians. Weltman notes that most resources for middle and high school students and teachers focus on classic school content. "While this is sometimes what students need, it ignores the wealth of rich, beautiful mathematics materials that may feature content and ways of engaging with math usually reserved for a more ‘advanced’ audience, but that students and their teachers can understand and enjoy," says Weltman. "With the fellowship, I hope to expand and study the support the blog provides for teachers, develop a course for pre-service math teachers that incorporates the ideas behind the blog, and find new resources." 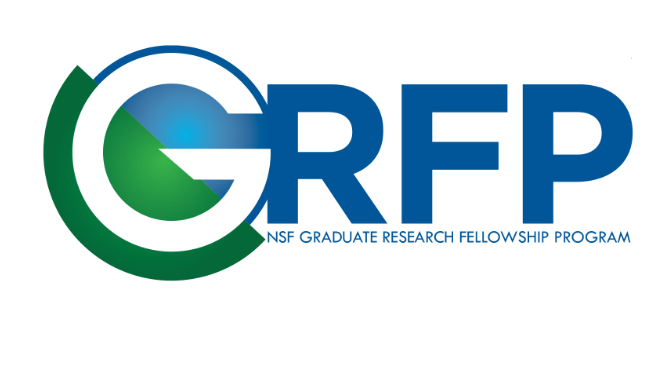 In addition to the five alumni fellows, seven other Fords were named as NSF GRFP honorable mentions: Sarah Sofia '14, Julia Pringle '12, Maury Lander-Portnoy '13, Sara Hess '13, Henri Drake '15, Sarah Crist '13, and Robindra Banerji '15.